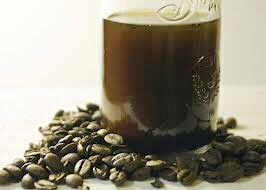 Coffee Essential Oil that we manufacture, export and supply is known for its warming and invigorating scent. Our Coffee Essential Oil is extracted using cold pressed method and is free from impurities. The oil is an excellent antioxidant and used for providing relief from stress, depression, fevers, stings, general nausea, etc. We provide Coffee Essential Oil in quality packaging and at reasonable rates.